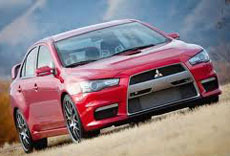 Mitsubishi Lancer Hire Bangalore ,Once in a lifetime, comes a car that redefines luxury and style. Which looks and feels like it belongs to a class above. And provides a driving experience so far beyond anything you've experienced, that you'll either be overcome with awe, or stunned by envy. The all-new Mitsubishi Lancer Hire Bangalore Altis. With "dynamic" and "advance" as keywords, the New Corolla Altis's style moves in a "dignified and youthful" direction. The items that satisfied customers were determined and then incorporated into the vehicle. The unified worldwide body developed was named "Global One" - a fitting name, as this Corolla is one for the entire world to enjoy. corolla Hire Bangalore Have a little fun and do some experiment. Just mouse over any of the color buttons to see how each would look on [Actual color of vehicle body might differ slightly from the displayed photos] Mitsubishi Lancer Hire Bangalore Altis.